Posted on Sunday, April 30th, 2017. - Filed under 55-Inch. Samsung UN55MU8500 and UN55MU7500 are two choices that you can consider if you are looking for 55-Inch curved Smart 4K UHD TV. If We look those two TVs on Samsung’s 2017 lineup, We can find that They come as near models. Which of those two TVs should be the one to choose? 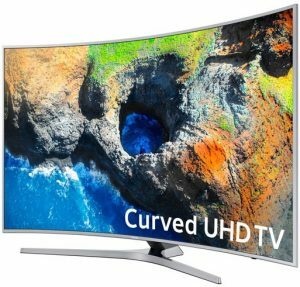 This article will talk about Samsung UN55MU8500 and UN55MU7500 then talk more about the differences of those two 55-Inch curved 4K UHD TV. By knowing the differences of those two TVs, I’m sure you can decide which of them is the one that you should choose. 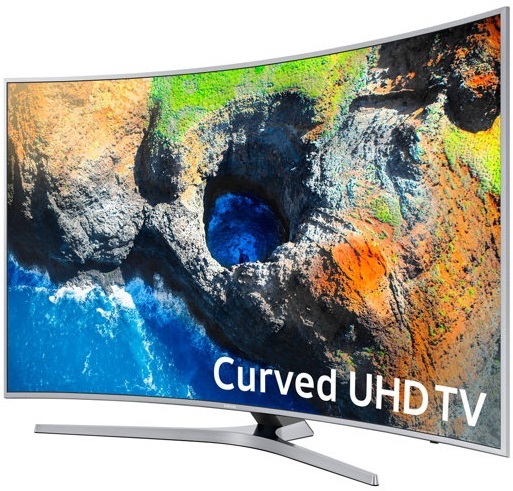 Before We can talk more about the differences of Samsung UN55MU8500 and UN55MU7500, We need to know the specs and features of those two 55-Inch curved 4K UHD TV. The specs and features of those two TVs can be found on the table below. We can easily spot the differences of Samsung UN55MU8500 and UN55MU7500 from the comparison table above, but I’m sure that you want to talk more about the differences of those two 55-Inch curved 4K UHD TV. Let’s talk more about the differences of those two TVs together. Samsung UN55MU8500 comes with 4K Color Drive extreme as its color technology that combined with Triple Black as its black technology. While Samsung UN55MU7500 comes with 4K Color Drive Pro as its color technology and essential black pro as its black technology. While 4K Color Drive Extreme – Triple Black Pro combination works similar to 4K Color Drive Pro – Essential Black Pro combination, but 4K Color Drive Extreme- Triple Black Pro is indeed more advanced color and black technology that can deliver richer color and deeper black level than 4K Color Drive Pro – Essential Black Pro Combination. Both of Samsung UN55MU8500 and UN55MU7500 come with HDR technology. Samsung UN55MU8500 comes with 4K HDR Extreme, while Samsung UN55MU7500 comes with 4K HDR Pro technology. 4K HDR Extreme is more advanced HDR Technology so that It can deliver better detail enhancement and more vibrant contrast level than 4K HDR Pro technology. We can find Peak Illuminator Pro and Precision Black technology installed in Samsung UN55MU8500, while We can’t find those two technology in Samsung UN55MU7500. Peak Illuminator Pro works by increasing the details on the bright part of the screen, while precision black works by improving the black level on the dark part of the screen. Peak illuminator Pro – Precison black combination can deliver better contrast vibrancy on the TV screen. The refresh rate of Samsung LED TV is measured by Motion Rate term. The refresh rate of Samsung UN55MU8500 and UN55MU7500 are different. Samsung UN55MU8500 comes with Motion Rate 240, while Samsung UN55MU7500 comes with Motion Rate 120. Motion Rate 240 is the higher refresh rate that can deliver more fluid fast motion images especially when you use the TV as your gaming monitor. Samsung UN55MU8500 and UN55MU7500 comes with different speaker system. Samsung UN55MU8500 comes with 2.1Ch 40W speaker system, while Samsung UN55MU7500 comes with 2Ch 20W speaker system. 2.1Ch 40W speaker system is able to deliver richer and more powerful sound output than what can be delivered by 2Ch 20W speaker system. Samsung UN55MU8500 is positioned as the higher model than Samsung UN55MU7500, so We can easily find Samsung UN55MU8500 is offered at the higher price than Samsung UN55MU7500. How much is their price difference? 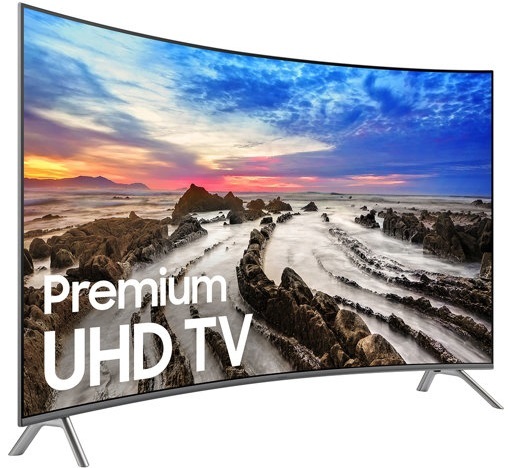 To know the latest price difference of Samsung UN55MU7500 and UN55MU8500, It’s a good idea to check today’s price of Samsung UN55MU8500 and UN55MU7000 since TV prices are changing over time. Are you looking for the best yet affordable 55-Inch Smart 4K UHD TV? 55UH8500 and 55UH7700 from LG are two models that I’m quite sure already on your mind for alternative choices for that. As the near model, you..